Breast cancer is one of the leading causes of cancer-related death in the USA. Metastasis and maintenance of breast cancer in the adult bone marrow could result in quiescence with resistance to chemotherapy. These changes are partly due to the interactions between cancer cells and the resident bone marrow cells, especially the cells residing close to the endosteum. 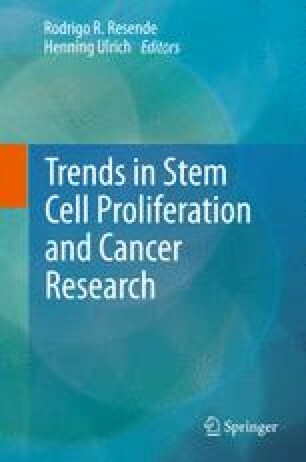 Although the literature on cancer stem cells has exploded over the past few years, there is no clear indication that dormancy is exclusive to the stem cell subset of cancers. We discuss a role for the tissue microenvironment in cancer dormancy and also expand on the role of other stem cells. The information on cancer dormancy now has another significant role in medicine—specifically, in the field of stem cell therapy, in which cancer dormancy could be a potential confounder for safe treatment. This chapter discusses the interaction between cancer cells and mesenchymal stem cells. This area of discussion is particularly important considering the ongoing clinical trials with mesenchymal stem cells in which the treatments might be administered to individuals with undiagnosed cancers.